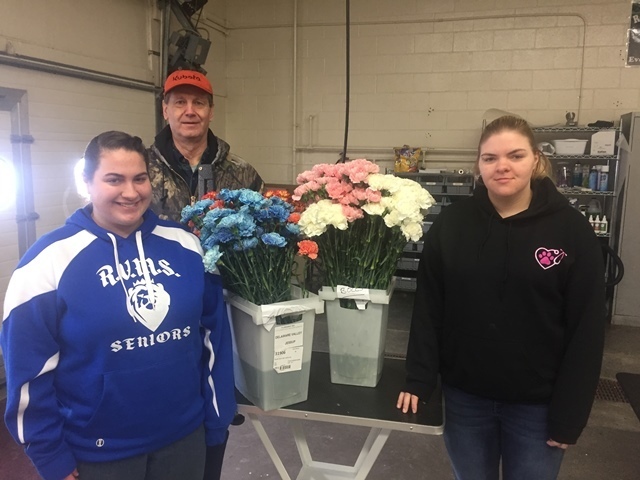 Veterinary Practices students at the Howard G. Sackett Technical Center used the recent Valentine’s Day holiday as a fundraising opportunity for the Lewis County Humane Society, selling over $200 worth of flowers. Lisk Floral in Glenfield teamed up with the students to make the sale possible, donating the flowers that were then sold and delivered by the students on the holiday. Their efforts raised $250, which will be donated to the humane society for the purchase of kitty litter and other supplies. 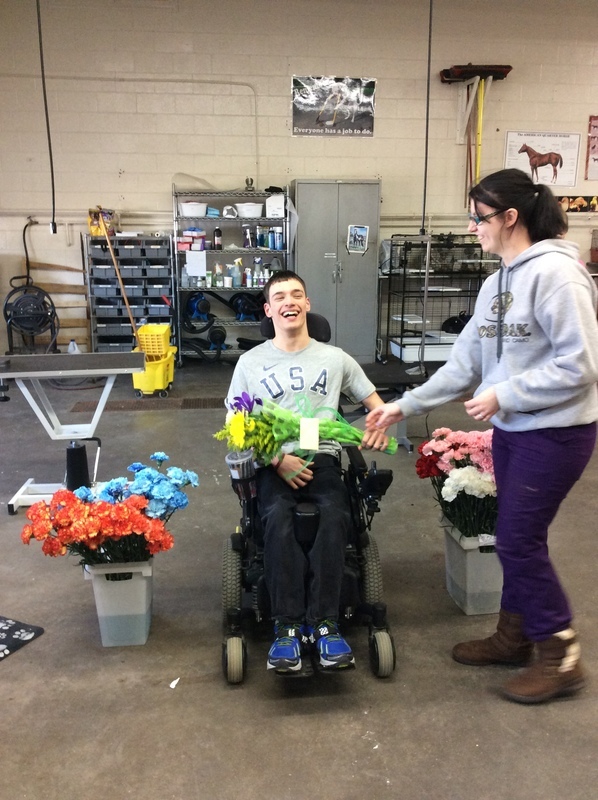 The participating students also held a group contest to see who could sell the most flowers during the drive. The winner was Ryan Berwick, Adirondack, who was presented a bouquet of flowers by fellow student Abigail Haigh from Beaver River. The students plan on continuing their fundraising efforts through the remainder of the school year. The goal is to raise a total of $400 for the animal shelter.